technology available. 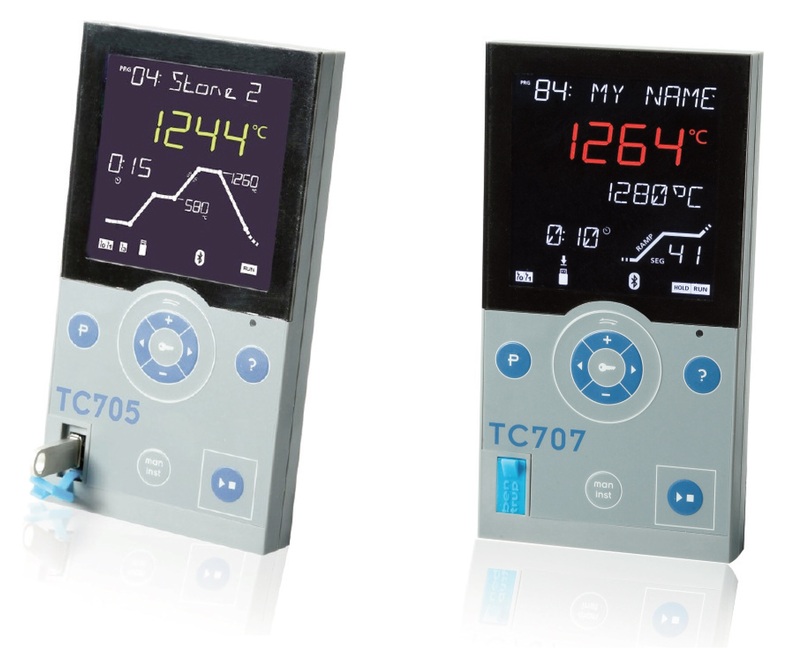 The high resolution display provides operators with process state in one view. Features include a status line displaying output states, USB-Operation, www connection, etc. Up to 99 programmes are available with options to assign user defined names. them change by circling your finger over the virtual dial. Integrated 3 zone option pushes kilns to 3 zones with minimal efforts, 6 controls zones on board. PM3 module for actual power measurement & acquisition for up to 3 zones including logging and Email alerts on defined deviations.